It was a miserable wet and windy Wednesday afternoon and I was on my way back to Manchester from spending a few days at home for reading week, excited at the prospect of interviewing one of my favourite professors, Frank Mort, and to see what interesting facts he was going to share from his expert array of knowledge on cultural histories. I am currently enjoying Frank’s third year module ‘London and Modernity’ and I have been a fan of his since the start of second year, when his lectures in the Winds of Change module brought to life events and scandals such as the ‘Abdication Crisis’ of Edward VIII and consumerism in 1950s Britain. We started by talking about Frank’s academic past. His journey to become the historical maverick he is today started with his PHD studies in the 70s at The Birmingham Centre for Cultural Studies which formed a thesis on the dangerous sexualities and moral politics in England since 1830. It was here that Frank first touched upon scandal looking at the redefining of sexuality by medical professions in the 19th century, alongside feminist responses. 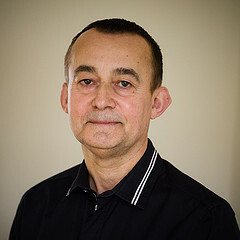 Frank progressed to studying consumer society and the consumer revolution of the 1950s, masculinity in social spaces, finally publishing his book ‘Capital Affairs: London and the Making of the Permissive Society’ in 2010. Currently, his work focused on a study of monarchy and democracy between 1910 and 1939. We then touched upon the importance and function of scandal throughout the early 20th century as it allowed the working class to relate to and pry into the lives of members of the upper echelons of society. Frank made the point that there was a tendency in post-war Britain for political scandals to be made public and exacerbated through their sexual elements. He gave an example of the Profumo Affair of 1963, whereby the sexual affairs between war minister John Profumo and 19 year old showgirl Christine Keeler were uncovered, made public, and were highly publicised, saturating the media at the time. Likewise, the Cambridge Spy Ring scandal only took off when the set of spies recruited by a soviet scout were out-ted as homosexual, the media focused on both the ‘red threat’ of communism and the ‘pink threat’ of homosexuality. Frank then outlined how American ‘Hollywood’ culture influenced the British media in this period. He emphasised that the human interest of American journalism pushed for a more intrusive form of reporting. In the 1920s, the media appetite for the exploration of the private lives of famous figures such as film stars, sporting personalities, royalty and politicians, was insatiably. Print media was essential in the dissemination of information surrounding these well-known figures in an era before television. Having being taught by Frank over the last two years, I have had the honour of hearing many stories that he personally uncovered during his time spent in various archives throughout Britain. He reiterated to me that censorship was an important element in scandal. For instance, the Metropolitan Police commissioned the Board of Customs and Excise which suppressed articles from foreign newspapers involving the affairs of Edward VIII and two times divorcee American socialite Wallis Simpson prior to his abdication on the matter in 1936. The conversation then turned to Frank’s interests within the monarchy, and he regaled his fascination of the reign of George V and Queen Mary, between 1910 and 1936. George was seen to follow the conventional and orthodox monarchical stereotype, however, Frank rejected this emphatically, stating that he was a highly misunderstood figure who was dynamic, innovative and who actual helped transform the monarchy into a more democratic and accessible institution. I ended the interview by asking Frank to provide a book recommendation, he replied with C.V. Wedgewood’s ‘William The Silent’ on William Prince of Orange. I asked if there were any future projects in the pipeline. He mentioned a study of the transnational and pan-European monarchies after the collapse of the ‘old order’ in 1918. I thanked him for his time and left his office with the thought that perhaps there is always more to scandal than meets the eye.